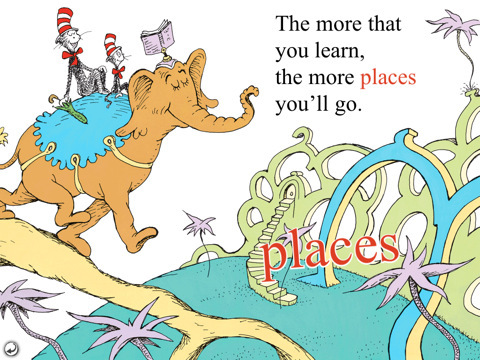 I hate to be a Grinch, but Dr. Seuss’ iOS version of I Can Read With My Eyes Shut does very little for the fantastical land of children’s books on the iPhone, iPad, and iPod Touch. That’s not to say that the app is bad or that there’s anything fundamentally wrong with it. 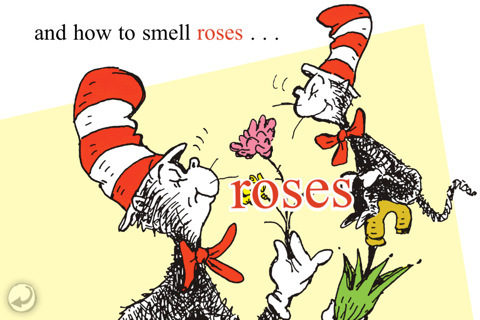 I Can Read With My Eyes Shut is still very much Dr. Seuss, and for that we can be grateful. 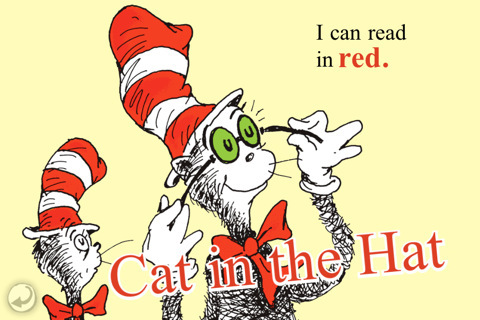 The iOS version puts The Cat in the Hat back to work in all its colorful glory, but except for providing a voice for reading it does little to liven the experience of Dr. Suess on a device made for interaction. To be fair, I suppose I ought to start from the beginning. 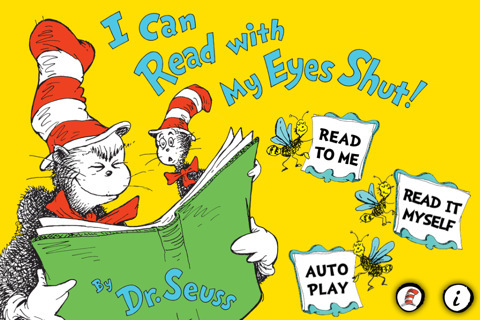 The main menu of I Can Read With My Eyes Shut lets readers choose between Read To Myself, Read To Me, and Autoplay. Read to Myself is the silent version of the children’s book but Read To Me and Autoplay employ a professional narrator and a set of sparing sound effects to lead kids through the experience. While Read To Me put the reader in control of the page flipping pace, Autoplay automatically sends the narrator through the book like a parent or teacher doing all the page turning themselves. As the female narrator pushes through I Can Read With My Eyes Shut, every word lights up on queue like lyrics on a karaoke screen. Every now and then the static pages scroll instead of turn, but beyond that there’s little else to experience. Some might appreciate Oceanhouse Media‘s close portrayal of the original storybook, and those that do will be delighted to know that they can also find anything from The Cat in the Hat to Fox in Socks, and some of the the apps have free teasers. Fundamentally speaking, it’s wonderful that Dr. Suess has hit the iDevice, but I Can Read With My Eyes Shut just doesn’t sizzle like you’d expect. If you’re going for something a little more innovative, check out Mickey’s Spooky Night Puzzle Book and imagine those dazzling sounds effects and interactions applied to Dr. Seuss’ wildly imaginative world. Now that would be the future of children’s books on the iPad. 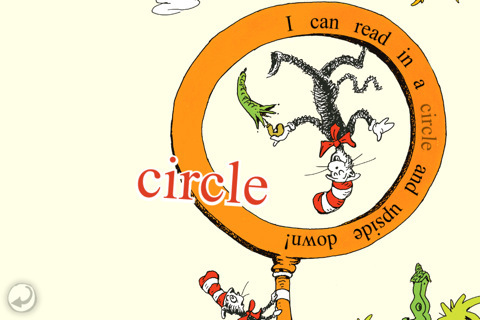 Bottom Line: It would be difficult not to like any iteration of Dr. Suess, but this $4 version of I Can Read with My Eyes Shut serves us very little in terms of interaction and innovation. The final product is solid but not groundbreaking.